Sterobank.com, the leading S3D stock footage marketplace, announced today that the biggest catalogue of 3D stock shots is hitting a strategic milestone by adding its latest series of Super Slow Motion 3D footage. With 1,000+ premium S3D indexed clips and tens of hours of creative footage, Stereobank confirms being the essential partner for producers and post-production companies looking for genuine 3D footage to complete their 3D projects in HD, 2k and even 4K definition. Next Generation Simplifies Character Animation, Adds Stereographic Capabilities and Physical Rendering. MAXON announced CINEMA 4D Release 13, the next generation of its industry- leading 3D motion graphics, visual effects, painting, and rendering software application. 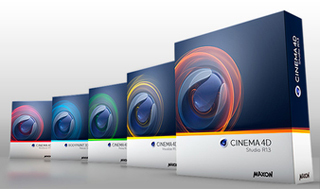 With all new character tools, integrated stereographic capabilities, stream-lined multi-artist collaboration and physical rendering, CINEMA 4D Release 13 builds on the company’s 25-year legacy of enabling digital content creators around the world to produce highly engaging content quickly and easily for a variety of industries. 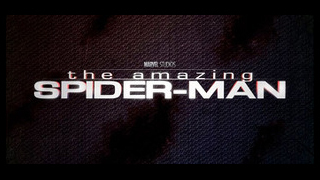 IMAX Corporation, and Sony Pictures Entertainment today announced that the highly anticipated 3D action-adventure, The Amazing Spider-Man, will be released to IMAX(R) theatres simultaneously with the film's worldwide release on July 3, 2012. To date, the Spider-Man motion picture franchise has generated more than $2.5 billion in worldwide box office receipts. The last two installments of the franchise were also released in IMAX.